Quality built new construction that is approx. 2239 sq. ft. with 4 bedrooms and 2 bathrooms. 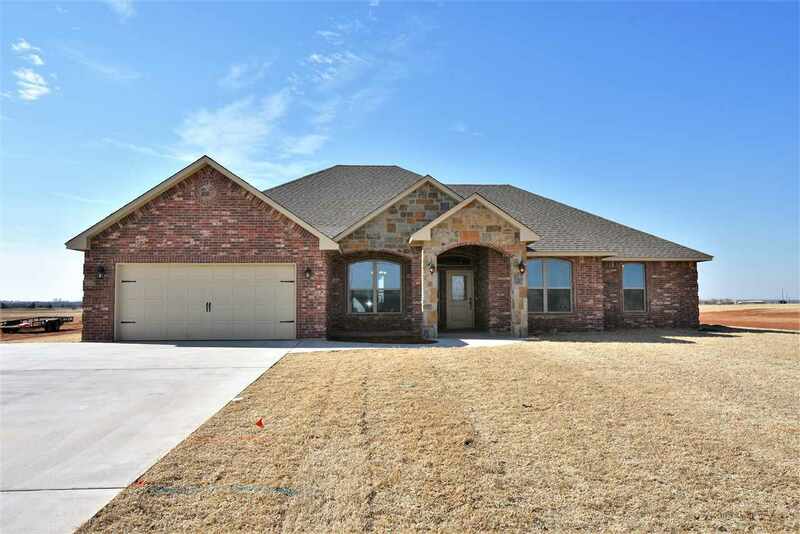 A great home for entertaining with open floor plan with cathedral ceiling in the living with upgraded ceiling fan, decorative beam, and crown molding. The brick fireplace is the focal point of the room. Tile that looks like wood throughout except for the bedrooms makes clean up a breeze. Nice formal dining area with wainscoting. Amazing kitchen with Knotty Alder custom cabinetry, gas cooktop with pot filler, island with bar seating, and walk-in pantry that will hold an abundant amount of groceries. Utility room has wash sink, and locker area to store shoes and coats. Nice master retreat with double sinks, Jacuzzi tub, his and her closets with built-in dressers, and tiled shower. Guest bedrooms are good size and one has a built-in desk with cabinets plus a walk-in closet. Energy savings features include the 95% energy efficient natural gas heater, gas cooktop, gas log fireplace, and gas hot water heater. All this located on 3/4 acre lot with sodded yard. Elgin school bus runs by home to pick up for school. Builder will install 250 ft. of privacy fence yard and pay $5,000 of buyer&apos;s closing cost plus 1 year builder and septic warranty provided. Master Bedroom Size: 16&apos;3" X 13&apos;8"
Utility Room Size: 11&apos;2" X 7&apos;2"